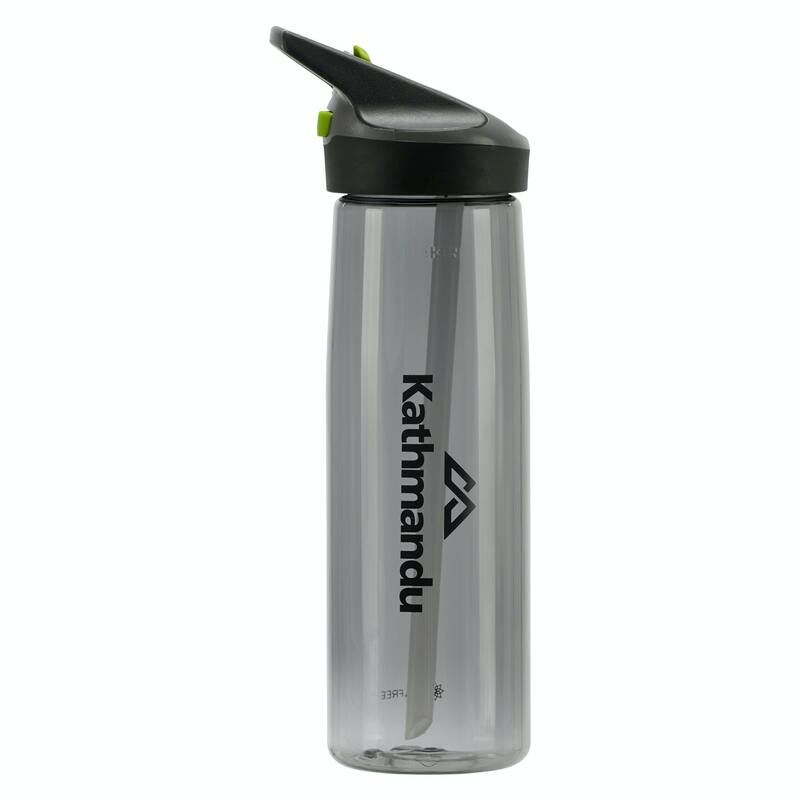 For maximum hydration with minimum effort, the Flipspout 750 Drink Bottle opens at the push of a button and sips from an easy flow straw. You can flip, sip and flip it back down again using one hand and without lifting up the bottle - no need to bite the valve, just open and sip. The BPA-free bottle is spill proof and the straw and sipper come apart for easy cleaning. We had travellers in mind with the covered sipper that protects the mouthpiece from dirt and bacteria. Hygienic spout – easy to disassemble and clean.